Hamas in the Middle East has been a practitioner of violent Islamic terrorism for three decades. Its ferocious jihad against Israel has been the cause of thousands of deaths on both sides. The presence of Hamas in the United States, however, has been less open and its mandate has undergone a transformation. Its presence here, and the threat it poses to America, have been debated, disputed, and denied for decades. In the quest for truth, exposing the real and current threat that Hamas poses to America is difficult at best. Even establishing the very existence of Hamas in America is problematic, because in the United States, Hamas is a ghost organization, hiding behind well-guarded veils of secrecy, and protected by those considered &#x2018;respectable&#x2019; representatives of the Muslim American community. 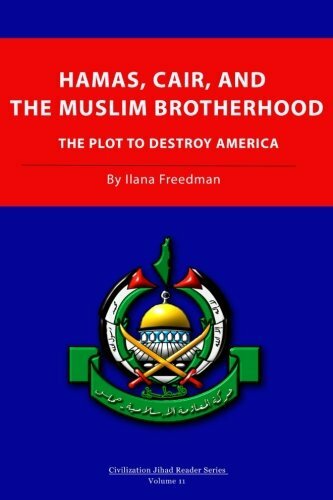 The presence of Hamas in the U.S. is therefore generally overlooked by the average American, who would, no doubt, be astonished to know just how deeply the organization has infiltrated the institutions of America&#x2019;s political, societal, and government infrastructure. Hamas&#x2019; active presence in the United States is easy to miss, but it has been so well-documented that it is, by now, beyond question. Hamas is the Palestinian branch of the jihadist Muslim Brotherhood in Gaza and its presence in the U.S. is no less a threat here than is its counterpart in the Middle East. Only its methods are different; the threat that it poses is just as real.